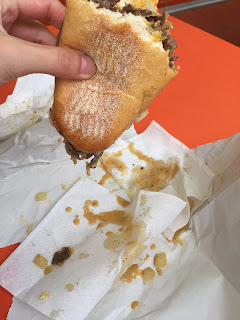 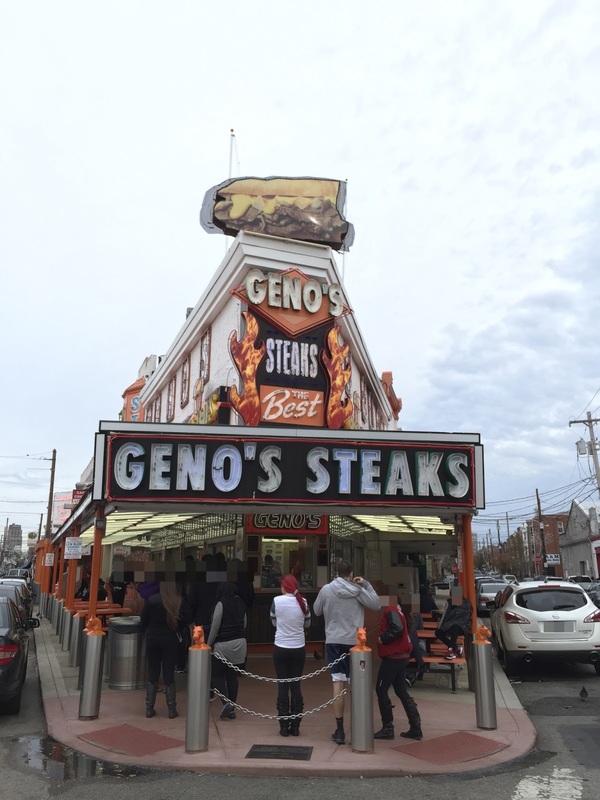 After trying Pat's King of Steaks, we went to Geno's Steaks. 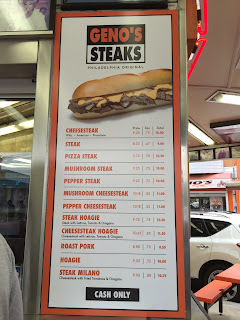 Both brands sell cheesesteaks for 10 dollars after tax. 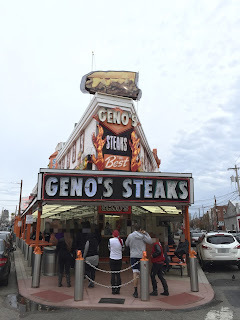 Same as Pat's, drinks and fries were to order at the different window. 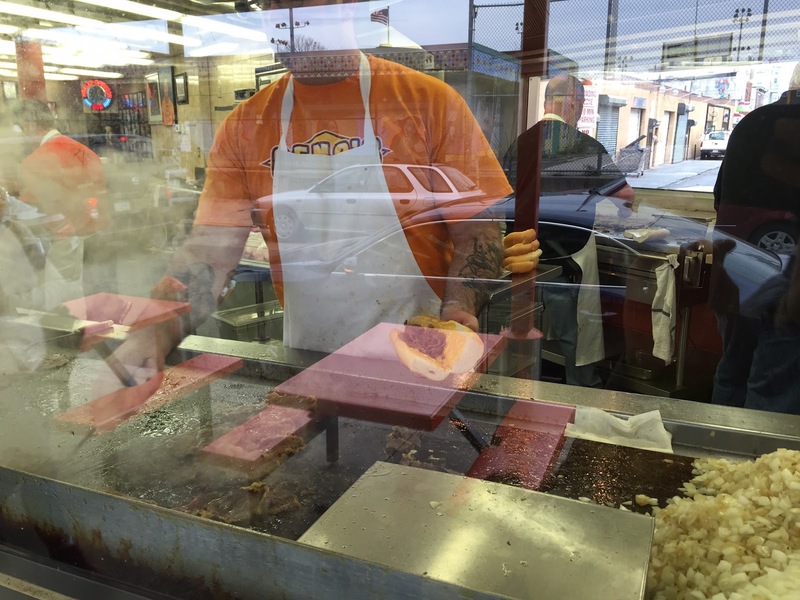 It didn't have the rule of how-to, but at the window, there's this. 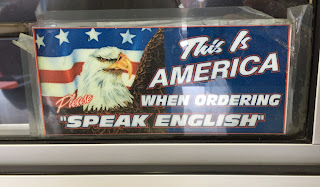 "This is America. 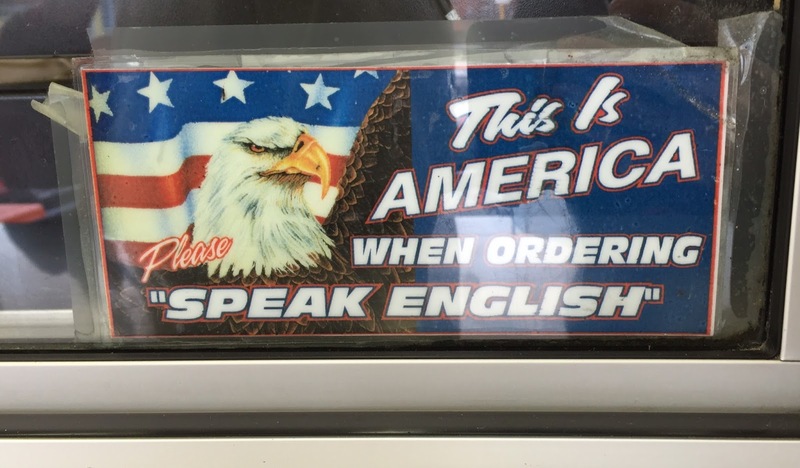 When ordering, 'Speak English.'" 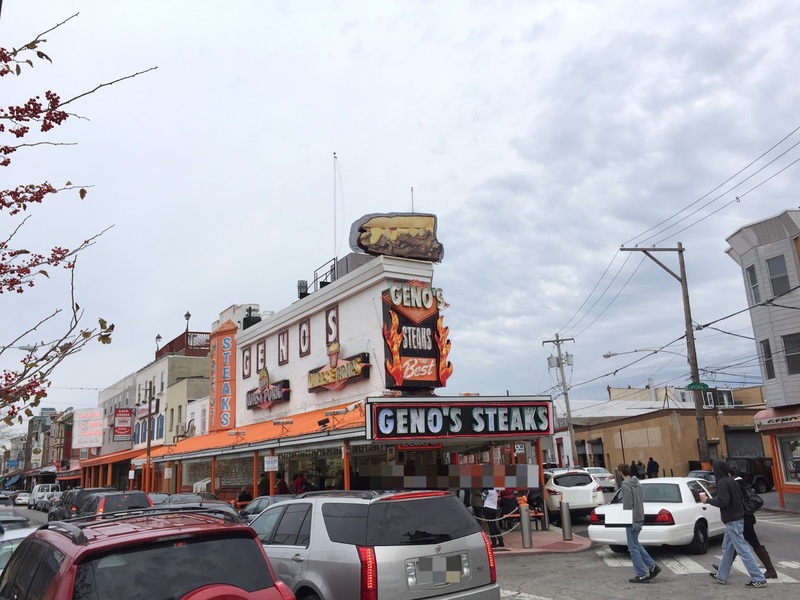 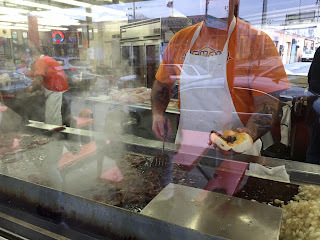 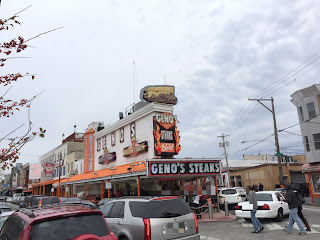 They kept cooking the meat, and I realized that at Geno's, they put Cheez Whiz on the bread first, then put steaks. 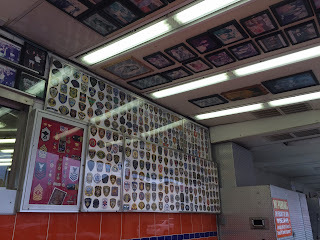 There're a lot of photos and badges on the walls and the ceilings. 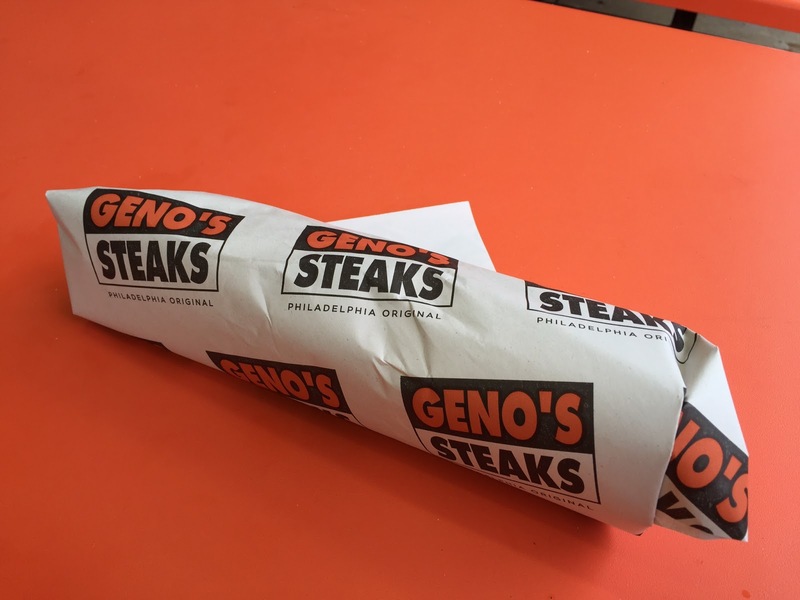 They wrapped the cheesesteak tight like below. 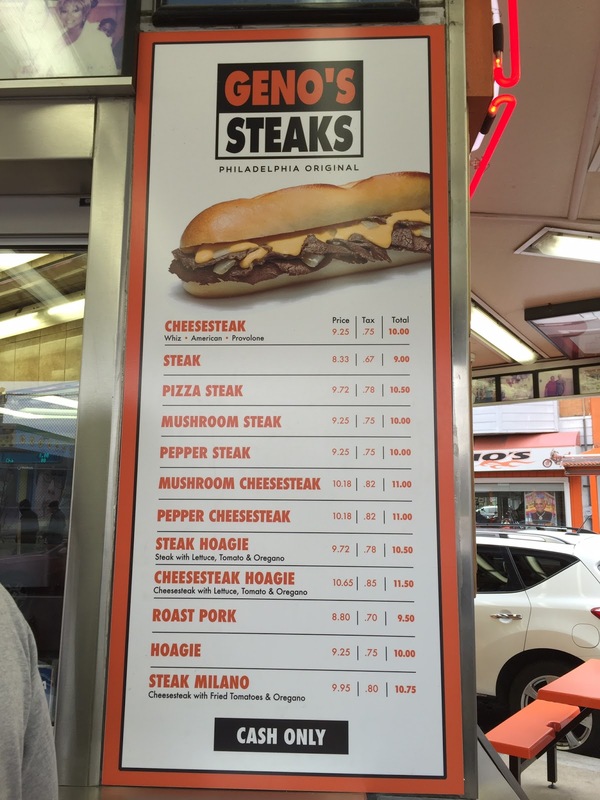 To compare the flavor, we got a cheesesteak with onions and Cheez Whiz. The onions looked still half raw and not as caramelized as Pat's, and each slice of beef looked larger. As I mentioned above, Cheeze Whiz was spread on the bread, not over the meat. Onions were crunchy and a bit spicy because they're lightly cooked, and the steaks were very juicy and a lot of juices was dripping. 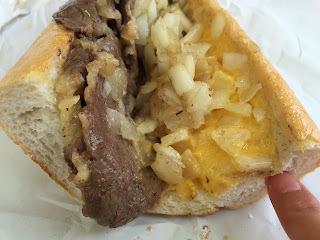 The bun was drier and firmer but because of the Cheez Whiz, it didn't absorb much juice from the beef. 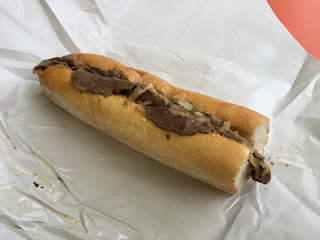 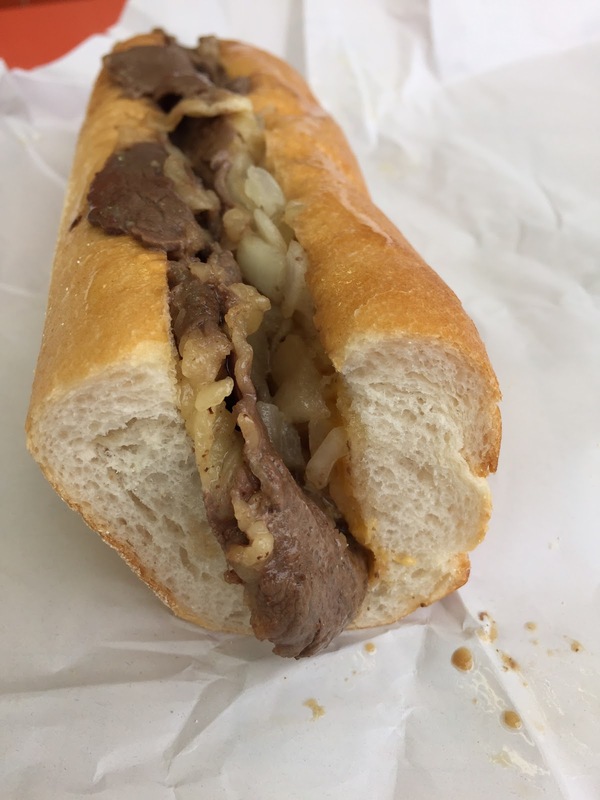 Thanks to Cheez Whiz spread, the saltiness was even in this cheesesteak but it's not so different from that of Pat's.